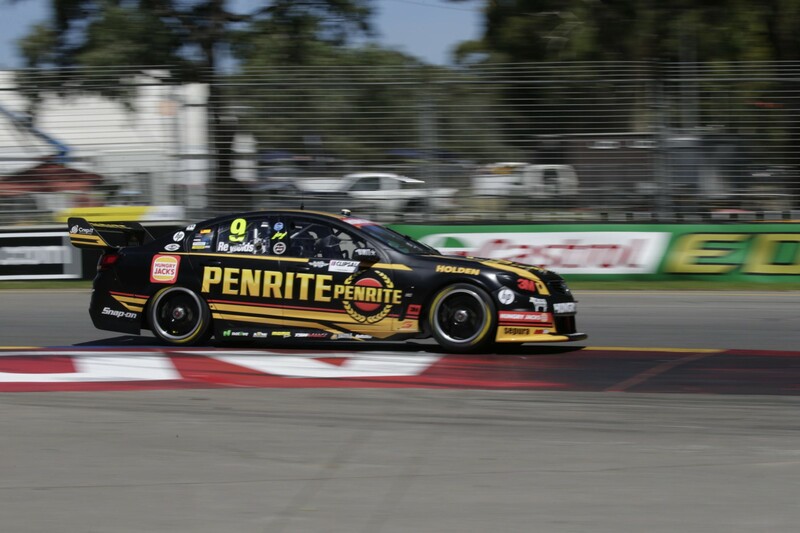 Third place in the third practice session at the Clipsal 500 this morning doesn’t have new Erebus recruit David Reynolds jumping through hoops with excitement, but he does regard it as another small step in the long road of development the team has set itself in 2016. Reynolds finished third in the 2015 V8 Supercars driving a Ford Falcon FG X for Prodrive Racing Australia but his contract wasn’t renewed and he shifted to Betty Klimenko’s team to relace Tekno-bound Will Davison. After Reynolds signed, the team went through a dramatic reconstruction, moving from Sydney to Melbourne, retiring its Mercedes-AMG E63s and replacing them with Walkinshaw Racing Holden Commodore VFs and recruiting a virtually all-new crew under veteran team boss Barry Ryan. Reynolds’ 1 min 20.393 time on Dunlop soft tyres this morning was his fastest time so far and came after he and engineer Campbell Little agreed on some overnight changes. “They seem to have made it better,” Reynolds told v8supercars.com. “It feels really responsive which is a great thing. “If we were changing things and we were getting no response then we would be scratching our heads. Getting to grips with his new Penrite-backed car is just one of a multitude of issues Reynolds revealed he is grappling with. “It’s a completely different circumstance in every aspect. You cannot change much more,” he said. “Pitlane order; you get screwed over in qualifying because the sessions are too short. “The car is very different; it is fundamentally different. Everything I touch and feel is different. “There are a lot of things we have to work on but we are going okay at the moment. Reynolds has qualified 16th and 22nd for this afternoon’s two 125km races.